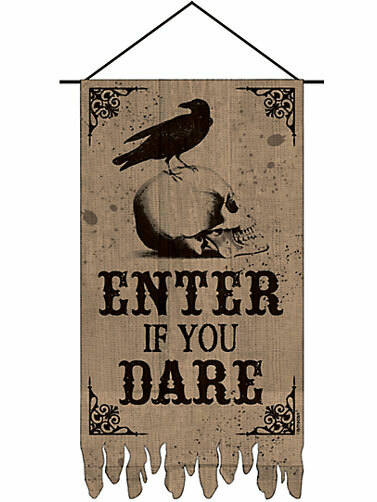 Boneyard Burlap Door Banner features a Gothic skull print and will be a spooky decoration in your Halloween home. 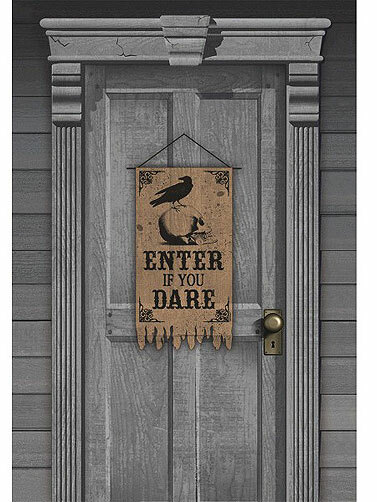 Printed image of a skull with a crow perched on top and reads "Enter If you Dare." Burlap banner has a vintage look with black print and an attached loop for hanging. Boneyard Burlap Door Banner measures 25.5"H x 16"W.